You may wish to have a Continental Breakfast, a served lunch or choice-laden buffet, or an afternoon breakout with energy producing sweets and beverages. 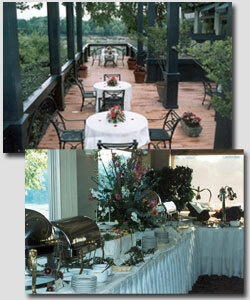 For corporate social gatherings we can offer hors d’oeuvres and cocktails or beverages, or a more formal seated dinner. The catering director is ready to assist you with the details for a customized and seamless event. Call the Catering Department for assistance.